Former TERI chief R K Pachauri, accused in a sexual harassment case, has been permitted once again to travel abroad by a Delhi court which noted that he has been allowed to go to foreign countries on various occasions in the past and has complied with terms and conditions set by the court. The court allowed Pachauri’s application seeking its permission to travel to Kazakhstan, Guyana and Mexico till October 5 to attend various meetings, conferences and a film festival. "In view of the above facts and circumstances and compliance of accused on previous occasions, the application of accused for travel abroad from September 12 to October 5 is allowed…" Metropolitan Magistrate Archana Beniwal said, while also considering the same relief granted to him on August 17 by a magisterial court here. Pachauri, who is currently on bail, moved the application through counsel Ashish Dixit. The court had on July 11 granted bail to Pachauri and allowed him to travel abroad after he appeared before it pursuant to the summons issued against him. Pachauri, who has been allowed by the court to travel over a dozen times to various countries including the USA, UK, China, Japan, France, Kazakhstan, Bolivia, Kuwait, Somalia and Saudi Arabia, during pendency of the probe and proceedings, was summoned as accused by the court on May 14 after it took cognizance of the charge sheet filed against him for allegedly sexually harassing an ex-colleague. 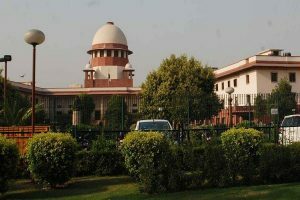 The court, while taking cognizance of the charge sheet, had said there was sufficient material to proceed against him under sections 354A (sexual harassment), 354B (assault against woman with intent to disrobe), 354D (stalking), 509 (word, gesture or act intended to insult modesty of woman) and 341 (wrongful confinement) of the IPC. The charge sheet, filed by Delhi Police on March 1, had arrayed 23 prosecution witnesses, many of whom are present and former employees of The Energy and Resources Institute (TERI). Pachauri was granted anticipatory bail in the case on March 21 last year. On February 13, last year an FIR was registered against Pachauri on charges of sexual harassment under IPC sections 354, 354(a), 354(d) (molestation) and 506 (criminal intimidation).